Satin Wedding Robe Pink can personalised for any bridal role. 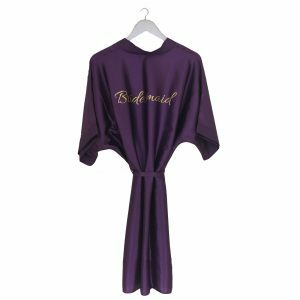 Alternatively personalise this satin robe with a name or married name of your choice. This robe can be printed left breast position only, back print only or you can decide to print both options for no extra cost. Personalised Name (Katie or Mrs Johnson) or Wedding Role (Bridesmaid etc). 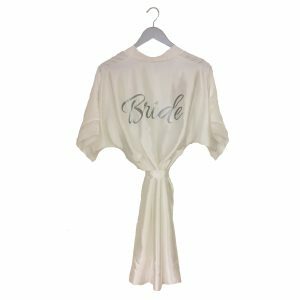 Satin Wedding Robe Ivory can personalised for any bridal role. 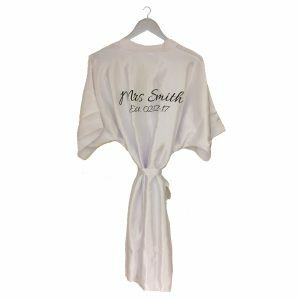 Alternatively personalise this satin robe with a name or married name of your choice. Satin Wedding Robe Silver can personalised for any bridal role. Alternatively personalise this satin robe with a name or married name of your choice. Satin Wedding Robe White can personalised for any bridal role. Alternatively personalise this satin robe with a name or married name of your choice. 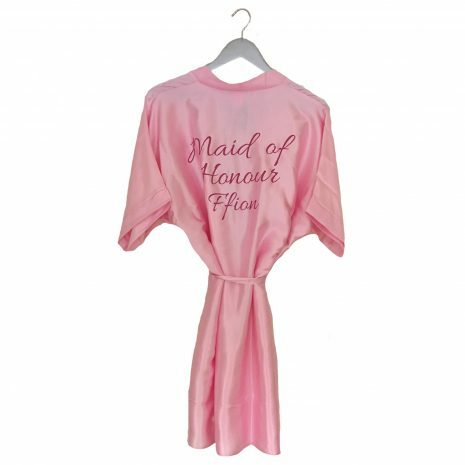 Satin Wedding Robe Champagne can personalised for any bridal role. Alternatively personalise this satin robe with a name or married name of your choice. Satin Wedding Robe Yellow can personalised for any bridal role. Alternatively personalise this satin robe with a name or married name of your choice. Satin Wedding Robe Purple can personalised for any bridal role. Alternatively personalise this satin robe with a name or married name of your choice. Satin Wedding Robe turquoise can personalised for any bridal role. Alternatively personalise this satin robe with a name or married name of your choice. 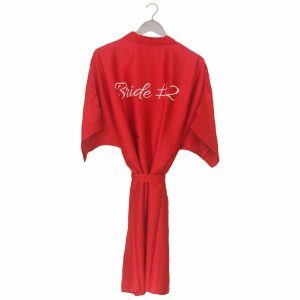 Satin Wedding Robe red can personalised for any bridal role. Alternatively personalise this satin robe with a name or married name of your choice.